Texas Senator's bill would impose sanctions against PA officials who provide financial rewards for terror attacks. 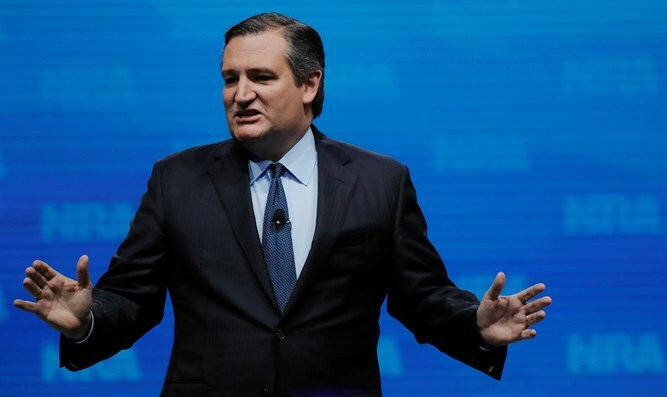 US Senator Ted Cruz (R-TX) on Thursday introduced the End Palestinian Terror Salaries Act of 2018. The bill would impose sanctions against Palestinian Authority officials who provide financial rewards for Palestinian Arab terror attacks within 90 days of being enacted. “Palestinian terrorists have wounded or killed more than a dozen Israelis over the last few months, including 45-year old American-Israeli Ari Fuld,” Cruz said in a statement. “The Palestinian government continues to provide hundreds of millions of dollars each year rewarding such terrorists and their families, providing an incentive for ever more violence. It’s past time for Congress to impose direct costs on the Palestinian officials who manage the programs that provide these rewards,” he added. Earlier this year, the US Senate passed the Taylor Force Act, which cuts aid to the PA as long as the PA continues to pay salaries to terrorists. The legislation was named for US army veteran Taylor Force, who was murdered in a stabbing attack in Jaffa. PA chairman Mahmoud Abbas has been undeterred by the legislation and the repeated calls on him to stop paying terrorists and their families. Abbas has continuously stressed that “families of the martyrs will continue to receive their allowances in full."